With more than a third of Clipper Race crew being women from all walks of life, ages and nationalities, it seems fitting to pay tribute to our female crew members on International Women’s Day (IWD). It was established in the early 1900s and is a global day celebrating the social, economic, cultural and political achievements of women. As we write this from China, IWD was acknowledged at a press conference this morning in which former Qingdao crew member Vicky Song, 33, was heralded as a role model for women following her becoming the first Chinese woman to sail around the world, which she achieved in the Clipper 2013-14 Race. 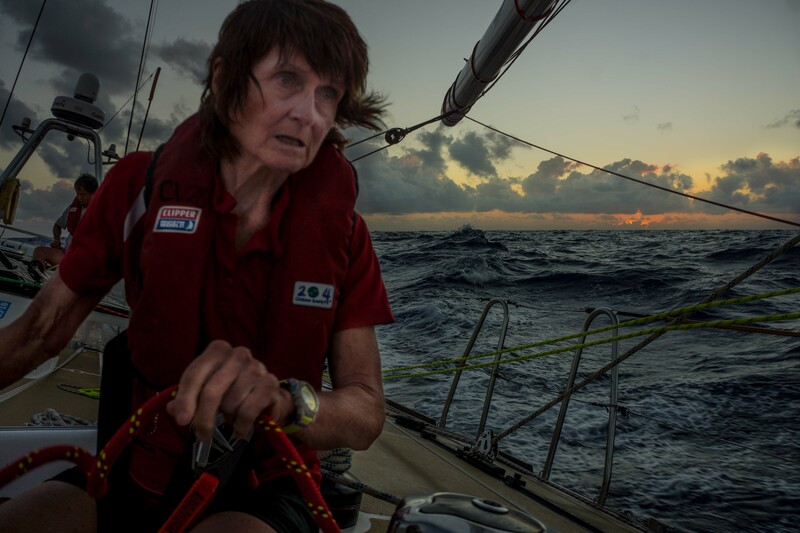 In the current edition of the race, Ann Adams, 71, is heading for Qingdao on board IchorCoal. 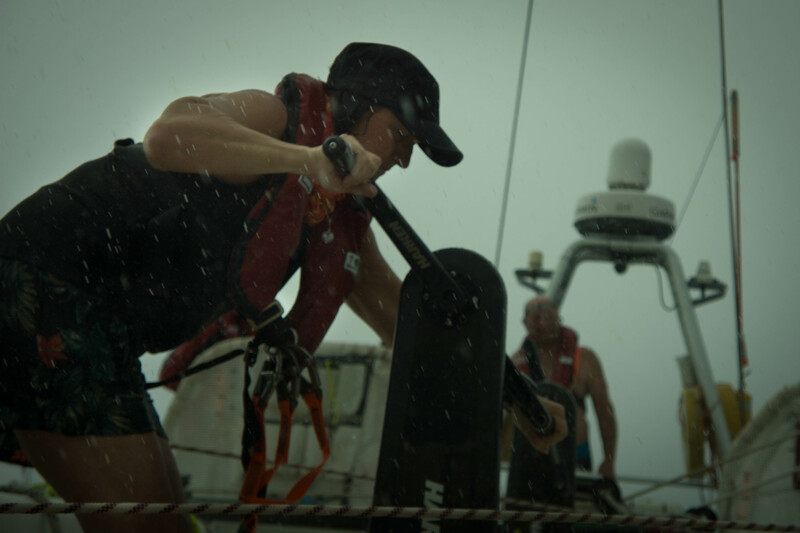 She only signed up for the current race after bumping into Sir Robin Knox-Johnston at the race start. Being five years older than Ann he told her there was nothing stopping her getting involved, given he is still racing competitively and has no intention of stopping anytime soon. On board Unicef is Cambridge graduate Esther Gordon-Smith, a 28 year old engineer, who speaks passionately about gender equality: “My company ran a women's development programme, which is the best thing I have ever done in terms of understanding gender issues. Engineering is a male dominated industry, that over the last decade or so has been waking up to the contribution women can make to the industry, but also, some of the conscious and unconscious barriers there are to women succeeding as engineers. “People ask about glass ceilings. I'm not sure that, in my experience, there is a ceiling per se, but there can often be an unconscious bias, such as when it comes to promotions because generally men are more likely to ask for promotion than women who will wait for their contribution to be recognised,” Esther continued. When Esther and Ann arrive in Qingdao they’ll be invited with other crew to celebrate the achievements of women in a special campaign called Be Y♀urself (#BeYourself). It aims to empower women in Chinese society and the economy, aligning with the aims of International Women’s Day which also marks a call to action for accelerating gender parity. The British Ambassador to China Barbara Woodward CMG OBE has made a personal pledge to be a convener of successful women in China. As the leader of one of the United Kingdom’s biggest diplomatic networks in the world, she has committed the British Embassy Beijing and Consulates around China to making a difference to the position of women in society and the economy. 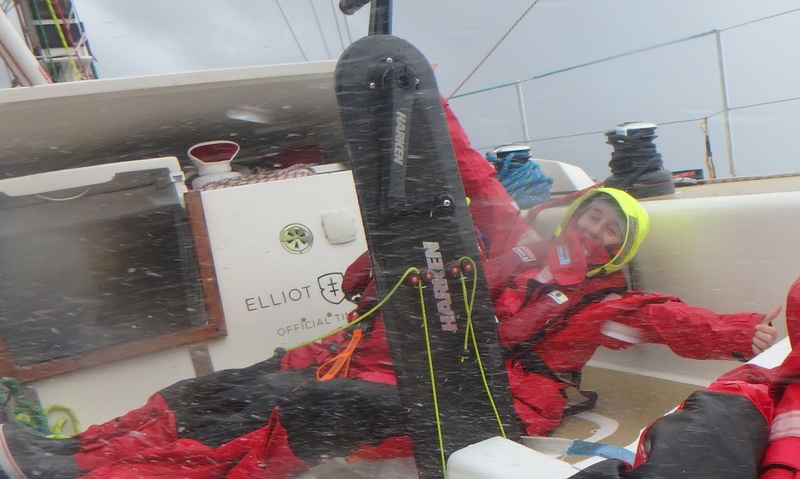 On Friday 18 March a panel discussion will be held by GREAT Britain in Qingdao as part of the Be Y♀urself campaign and will feature Clipper Race crew to celebrate women’s ability to achieve whatever they want to achieve. 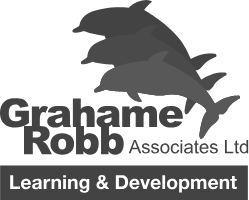 The aim is to empower women to reach their full potential, challenge the stereotypes that persist about gender roles, as well as raise awareness of the benefits of gender equality in society and female participation in the workforce.